This season the look is lush velvet, lots of denim both dark & distressed, interesting sweaters , booties & of course amazing coats. The colors are wine, navy , grey & blah of course. 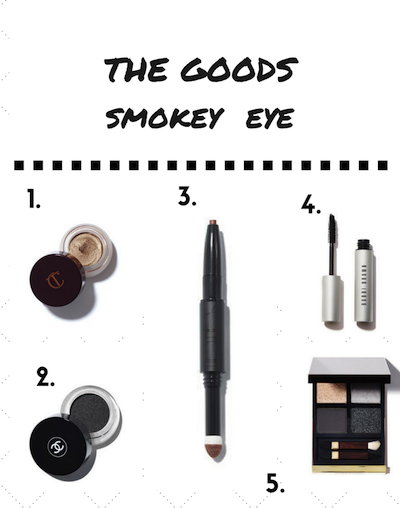 To match this we think beauty is all about a smoldering smokey eye. We have picked some of the best colors, brands & products to get the look & to do it with ease & with least amount of products necessary.